BE INVITED. BE EVALUATED. BE RECRUITED. 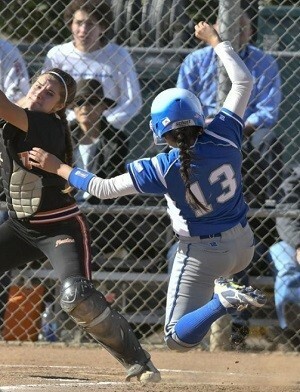 Bownet 16U Dollinger & Lompoc H.S. 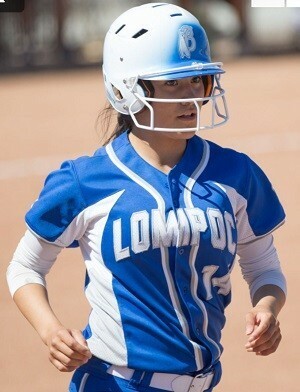 This 2020 grad plays softball at Lompoc H.S., competing in Lompoc, CA. As only a sophomore this past season in her second year on the varsity unit, Heidi earned Honorable Mention All-League Honors for her performance in the Outfield. Playing her club ball with the highly respected Bownet Travel Team for the past 4 seasons, Heidi is not stranger to elite competition and took 5th place in the World Series in the "A" Bracket in USSSA Tournament play. Ahead of her years athletically, Heidi is WITHOUT A DOUBT a young lady to keep a close eye on as an upperclassman at LHS and on the ultra competitive select circuit with her Bownet 16U Dollinger travel squad! Standing 5'3"-140lbs as a sophomore, Heidi combines her superb mechanics at the plate with her high softball IQ and her ability to cover ground quickly in the outfield to have a BRIGHT future still ahead of herself at LHS and beyond. 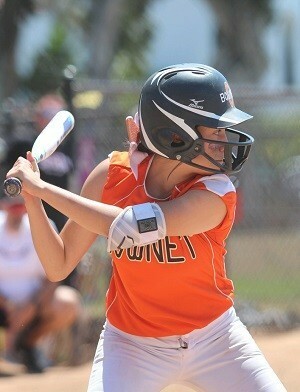 This past season as a sophomore, Heidi lead her team in Home Runs & RBI's, and hit in the 5-hole or lower in their lineup. 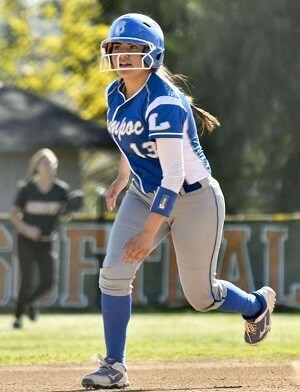 She is going to make whichever college coach she winds up playing for down the line VERY happy! 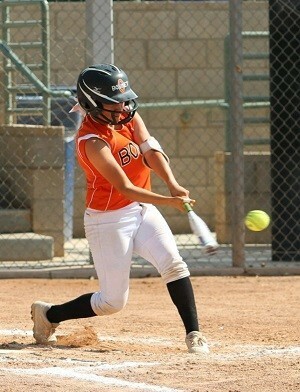 While Heidi has already stood tall on the softball fields in both high school and select play to-date, she is also focused on keeping her grades up to reach her lofty collegiate goals. As a sophomore, Heidi is carrying a solid 3.0 GPA, is also a member of the volleyball team at LHS, and will be taking her SAT/ACT exams as an upperclassman. For more information on Heidi, contact our West Coast Area Director, Ryan Weisenberg, at (626) 893-9378. 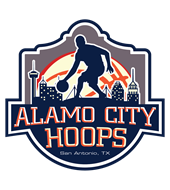 Our staff at the Corporate Office in San Antonio can also be reached at (210) 494-6363 anytime! Please Note: If you've received an email from us regarding Heidi Cardenas, his or her phone number and email address are provided within that email for your convenience. Contact information can also be requested using this form. See what athletes/parents are saying about College Promoters USA!